The arrival of TD 2018/D3 on Trust Splitting disrupts the pleasant calm around trust variations since TD 2012/21 when the ATO seemed to throw its hands in the air post-Clark and say that almost anything done in accordance with powers under a trust deed is not a resettlement. The draft ruling introduces a different approach to trusts, which in my view (correctly) puts resettlement as a live issue. A Trust Split is where a new trustee is appointed over part only of the assets of the trust. The old trustee is removed as trustee over those assets, but continues as trustee of the remaining assets. After the Trust Split there are two different trustees with two different sets of assets, where before there was only one - the trust is 'split' into two (or more) different trusts. The most common use of trust splitting is in succession planning, where assets have been accumulated into one discretionary (family) trust, and that family trust is desired to be passed on to multiple children. The children can either be left in joint control of the family trust (and hopefully all get along…) or the assets can be transferred out to new family trusts, triggering Capital Gains Tax and Stamp Duty - a sneaky form of death duties. Trust Splitting enables each child to have their own trust so that they can continue on separately, and without triggering tax. So is it one trust into two? Well maybe. Because there are actually two competing views on what happens during a Trust Split: the 'No-New Trust View' and the 'New Trust View'. The No-New Trust view is that there is only one trust after a trust split, but that the different trustees control different parts of it. So similar to two puppet masters, one controlling the head and arms, the other the body and legs. 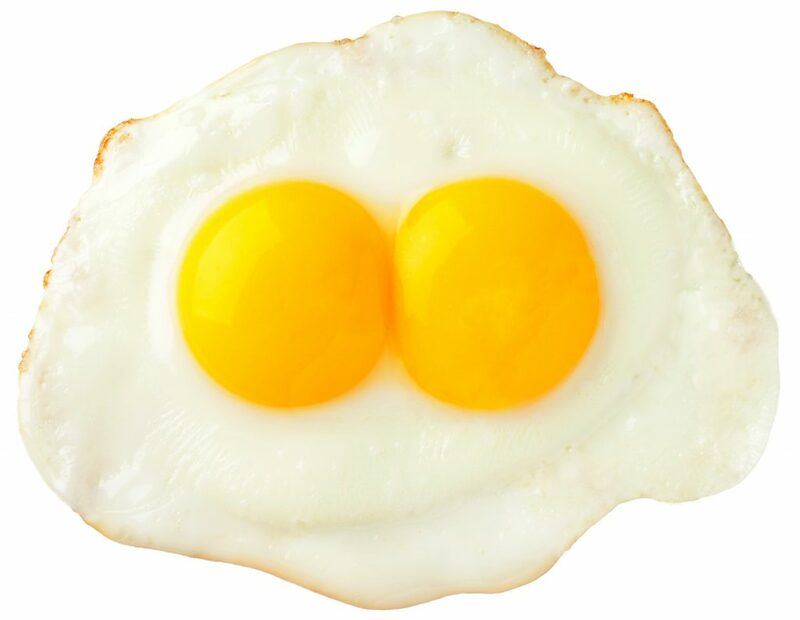 Or like an egg with two yolks. This position is based on testing whether there has been a change in the interest of the beneficiaries of a trust. The New Trust view looks for a break in the "continuum" of a trust (of the type explained in Commercial Nominees and Clark ) for a resettlement, and if there is none then claim that there is no resettlement. A change in trustee over some or all of the trust keeps that continuity. Under the No-New Trust view it is quite clear that there is no CGT in a Trust Split because there is no transfer to a new trust or creation of a new trust. 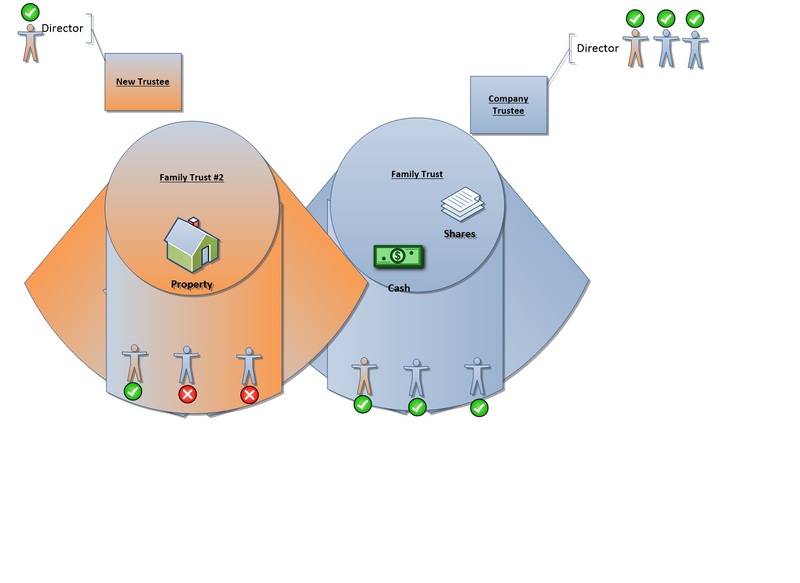 The New Trust view is that there are two separate trusts after a trust split. It is like if you get a starfish and cut it through the middle, each side will regrow the remaining half. So you end up with two starfish, both of which are the original! (No starfish were harmed in the writing of this article). The New Trust view looks at a trust as a set of rights for the beneficiary and obligations upon the trustee. These are in personam rights and obligations - they apply to a particular person. Therefore a change in that person who is the trustee will constitute a change in the trust - a resettlement. The New Trust view points to exemptions in Stamp Duty and CGT provisions that expressly exempt a change in trustee from tax, regardless of whether there is a resettlement, and says that there is no CGT. In TD 2018/D3 the ATO has expressed the view that the appointment of a new trustee as part of a Trust Split will trigger CGT Event E1, because there is the creation of a new trust. Such a view has been expressed before in ATO ID 2009/86, which was withdrawn after TD 2012/21 and Clark. But the reasoning in ATO ID 2009/86 was based on spurious things such as trustee's right of indemnity and beneficiaries' agreements with each other, none of which are relevant to a resettlement. The ATO view (not fully expressed in the ruling) is that because there is a new trust created the CGT exemption for a change in trustee of the same trust doesn’t apply, and so there will be CGT Event E1. In my view, in TD 2018/D3 the ATO reaches its position by looking at the in personam obligations upon the trustee, and considering that there are now two separate sets of obligations. Sound familiar? It is the New Trust view. The New Trust view holds that there is a resettlement of the trust every time there is a change in trustee. If the ATO is now adopting this view (and this is the view that I think is more correct) then that will have an impact upon every change in trustee - which was otherwise considered a transaction that did not attract CGT. In TD 2018/D3 a Trust Split is contrasted with a 'mere appointment of an additional trustee'. However that misses the point of the New Trust view: upon the appointment of an additional trustee to the whole of the trust there is still the same relationship between the original trustee and the beneficiaries. The New Trust is only created when the old trustee is removed from some or all of the trust assets. So the ATO is correct, but isn't actually narrowing the scope of resettlements. The problem is that the exemptions to CGT for a change in trustee have to try and reconcile the tax law fiction of a trust being an entity, and the actual trust law position that it is a mere relationship between a trustee and a beneficiary. The CGT exemptions were neutered to get rid of trust cloning in 2009, and they don’t properly safeguard a change in trustees now. Further legislative amendment is necessary to clarify that a change in trustees doesn’t trigger CGT - and this will be difficult to draft without expressly allowing Trust Splitting. I don’t think that the ATO is going to try and apply CGT to every change in trustee, but they are going to need to come up with some convoluted reasons as to why not. And the New Trust view doesn’t sit well with the reasoning in TD 2012/21, and so amendment should be expected there. Likely there will be creep on what constitutes a resettlement. If you are concerned that you are going to effect a resettlement - particularly when a change in trustees is coupled with other changes - then I am happy to chat to try and prevent some nasty tax consequences. If you want to separate out assets from a discretionary family trust for succession planning then there are a number of other strategies available, which I shall detail in follow up articles. I have set out these strategies in a number of papers that I have presented for the Tax Institute, Law Society, Legalwise and other CPD bodies, and am happy to forward you a copy or explain further if you reach out.